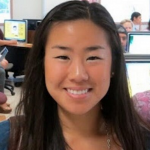 • Janine Shimomura, 25, of San Francisco has been appointed special assistant for communications at the California State Transportation Agency. 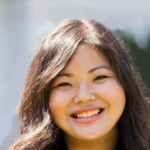 Named vice president of digital at the California Women’s List earlier this year, she was project director at WomenCount from 2015 to 2016, a research analyst at the California Department of Justice, Office of the Attorney General from 2013 to 2015 and an administrative assistant in the College of Environmental Design Dean’s Office at UC Berkeley from 2011 to 2013. This position does not require Senate confirmation and the compensation is $49,008. Shimomura is a Democrat. • Sarah Ishida, 29, of Granada Hills has been appointed to the 51st District Agricultural Association, San Fernando Valley Fair Board of Directors. A teacher at Canoga Park High School since 2009, she is a member of the California Association of Nurseries and Garden Centers. This position does not require Senate confirmation and there is no compensation. Ishida is a Democrat.